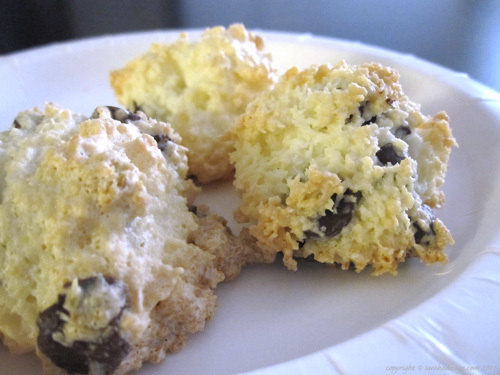 Over the recent Passover festival I made coconut macaroons with chocolate chips. While you can buy ready made macaroons, homemade are infinitely better and these ones changed the opinion of several people who previously were not fans! Gluten-free, these were a crispy and light treat.